The European Board Examination in Neurological Surgery (under 2015 is EANS/UEMS European examination in neurosurgery) consists of two parts. Only candidates that have successfully passed part I are eligible to sit part II. The Part I examination is a written, multiple choice exam consisting of 150 questions to be answered in three hours. The questions cover neurosurgery, neuroanatomy, neuropathophysiology, neuropathology, neurology, neuroradiology, fundamental clinical skills and other disciplines deemed suitable and important. 10 of the 150 questions in paper A and Paper B will relate to paediatrics. These may be in any of the subject areas. Paediatrics 10 questions in total. The time for the exam is 3 hours. The time for each question is 72 seconds. Usually 70-85% of applicants are given. The fee is 200 Euro. The Part II examination is a clinical problem solving and patient management test. It is not a theoretical examination, like the Part I examination. Case histories are given, and where appropriate neuroimaging and other visual aids are shown to augment the presentation and development of cases. Candidates explain verbally how they would proceed to evaluate or manage the cases and to plan and perform the proposed operations, if indicated. The examination, in the English language, consists of three parts, each lasting 30 minutes. 5-8 cases will be discussed during each part. Each of the three sessions is conducted in an interview setting with two examiners, experienced neurosurgeons from a European country. During these three sessions the candidate will thus meet six different European examiners, each of whom will give an independent score. 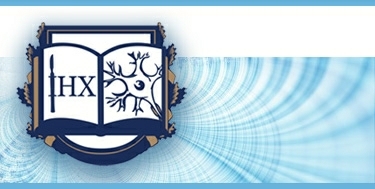 One session is dedicated to an oral examination on operative neurosurgery of brain and skull. The other session covers operative neurosurgery of spine and cord. In the third session the topics to be discussed will be those that could not be adequately covered in the first two sessions. The final, combined result will be available by mail within 14 days after the examination. The fee is 500 Euro. 1000 tests with detailed answers to the written exam on neurosurgery in the US and Europe. Rahul S. Shah, Thomas A.D. Cadoux-Hudson, Jamie J. Van Gompel, Erlick A.C. Pereira. Neurosurgery Self-Assessment: Questions and Answers. Elsevier Saunders, Philadelphia, USA, August 2016, 520 pages. 100 cases for an oral exam on neurosurgery in the US and Europe. Rahul Jandial , Michele R Aizenberg, Mike Y. Chen. 100 Case Reviews in Neurosurgery, Elsevier Saunders, Philadelphia, USA, November 2016, 624 pages. 1300 questions with detailed answers to the written examination on neurosurgery in the US and Europe. Paul V. Birinyi, Najib E. El Tecle, Eric Marvin. The Comprehensive Neurosurgery Board Preparation Book: Illustrated Questions and Answers, Thieme, USA, September 2016, 448 pages. 630 tests with detailed answers to the written exam on neurology in the US and Europe. Justin T. Jordan. Neurology Self-Assessment: A Companion to Bradley’s Neurology in Clinical Practice. Elsevier Saunders, Philadelphia, USA, August 2016, 224 pages. 805 questions with detailed answers to the written examination on neurosurgery in the US and Europe. Mark Shaya, Cristian Gragnaniello, Remi Nader. Neurosurgery Practice Questions and Answers, 2nd Edition, Thieme, USA, August 2016, 256 pages. 50 questions with detailed answers to the oral exam on neurosurgery in the US and Europe. Allan D. Levi. Goodman’s Neurosurgery Oral Board Review. Oxford University Press, USA, October 2016, 177 pages. Laligam N. Sekhar, Richard G. Fessler. Atlas of Neurosurgical Techniques, 2 edition, Thieme, USA. 1538 illustrations, 2016, 1566 pages. Training young neurosurgeon at home. Michael Sabel. Getting ready for brain tumor surgery. 50 illustrations +10 Video, 61 pages. Thieme Publishers Stuttgart, Germany, January 2017. 940 tests with detailed answers for the written exam in neurology in the US and Europe. Jonathan Howard. Neurology Q&A review. Demos Medical Publishing. New York, 2018, 537 pages. 960 tests with detailed answers for the written exam in neurology in the US and Europe. Yasser M. Awaad. Absolute Pediatric Neurology. Essential Questions and Answers. Springer International Publishing, New York, 2018, 742 pages. 500 tests with detailed answers to the written exam on neurosurgery / neuro-reanimation in the US and Europe. Zachary David Levy. Absolute Neurocritical Care Review. Springer International Publishing AG, New York, 2017, 244 pages. 740 tests with detailed answers for the written exam on neurosurgery / neuro-reanimation in the US and Europe. Asma Zakaria, Pouya Tahsili-Fahadan. Neurocritical Care Board Review: Questions and Answers. 2nd Edition, Demos Medical Publishing, New York, December 2018, 480 pages. 1575 tests with detailed answers for the written exam on neurosurgery in the US and Europe. Ross C. Puffer. Neurosurgery Primary Board Review. Thieme Medical Publishers, New York, 2018, 433 pages. Jack Jallo, Christopher M. Loftus. Neurotrauma and Critical Care of the Brain. 2nd Edition, Thieme Medical Publishers, New York, 2018, 432 pages. 600 tests with detailed answers to the written exam on neurosurgery in the US and Europe. Amgad S. Hanna. Neurosurgery Primary Examination Review. High Yield Questions, Answers, Diagrams, and Tables. Thieme Medical Publishers, New York, December 2018, 276 pages. Mariano Socolovsky, Lukas Rasulic. Manual of Peripheral Nerve Surgery: From the Basics to Complex Procedures. Thieme Medical Publishers, New York, 2017, 239 pages. 340 tests with detailed answers to the written exam on neurosurgery in the US and Europe. Samer S. Hoz. Vascular Neurosurgery: In Multiple-Choice Questions. Springer International Publishing AG, New York, 2017, 232 Pages. Atlas of spinal surgery and peripheral nerves. Chrisopher E. Wolfla, Daniel K. Resnick. Neurosurgical operative atlas. Spine and Peripheral Nerves. Third Edition, Thieme Medical Publishers, New York, 2017, 546 pages. Kiwon Lee. The NeuroICU Book. Second Edition, McGraw-Hill Education, New York, 2017, 1070 pages. Eli M. Baron, Alexander R. Vaccaro. Spine surgery. Operative techniques. Third edition. Elsevier, Philadelphia, USA, 2018, 480 pages. Robert E. Gross, Nicholas M. Boulis. Neurosurgical Operative Atlas: Functional Neurosurgery. 3rd Edition, Thieme Medical Publishers, New York, 2018, 362 pages. Monisha Kumar, Joshua Levine, James Schuster, W. Andrew Kofke. Neurocritical Care Management of the Neurosurgical Patient. Elsevier, Philadelphia, USA, 2018, 558 pages. 700 tests with detailed answers for the written exam on neurosurgery / neuro-reanimation in the USA and Europe. Saef Izzy, David P. Lerner, Kiwon Lee. The NeuroICU Board Review. McGraw-Hill Education, New York, November 2017, 577 pages. R. Loch Macdonald. Neurosurgical Operative Atlas. 3 edition, Thieme Medical Publishers, New York, December 2018, 320 pages.